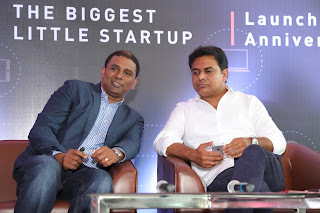 Smartron, India’s first global technology OEM and IoT Brand today celebrated its 1 year anniversary of the public launch of the company and introduction of tbook, tphone, and ttab devices and tronx IoT platform on 7th April 2017 in Hyderabad. 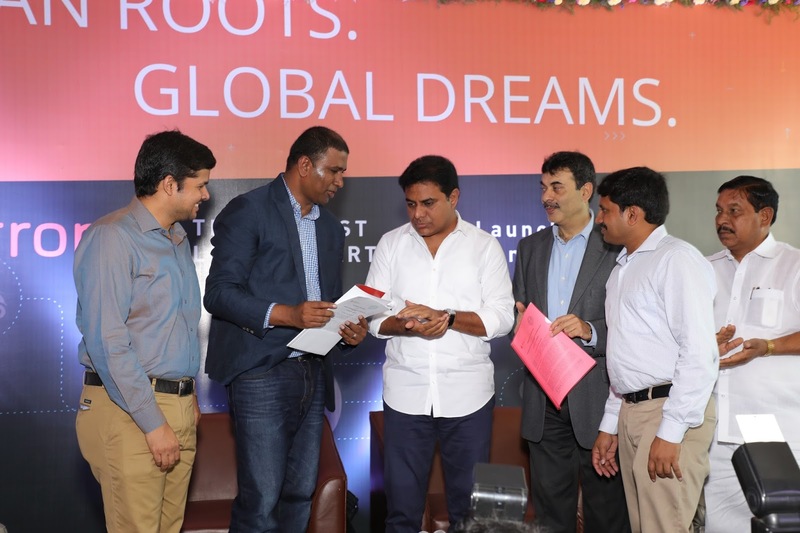 This also marked the expansion of the R&D and other operations with the opening of the new corporate headquarters located in the financial district, Hyderabad. This facility was inaugurated by Shri K Taraka Rama Rao Hon’ble Minister of IT, industries, MA & UD and NRI Affairs Government of Telangana in the presence of founder Mahesh Lingareddy and Co-founders Narsi Reddy Posham and Rohit Rathi along with several other dignitaries including Shri Jayesh Ranjan Principal Secretary Industries and Commerce (I&C) and Information Technology(IT) Government of Telangana. (L-R): Rohit Rathi, Co-founder & President Smartron, Mahesh Lingareddy, Founder and Chairman, Smartron, K Taraka Rama Rao, Hon’ble Minister of IT, Industries, MA & UD and NRI Affairs, Government of Telangana, Shri Jayesh Ranjan, Principal Secretary Industries and Commerce (I&C) and Information Technology (IT), Government of Telangana & Narsi Reddy Posham, Co-founder & Managing Director, Smartron at the signing of the MOU with Govt. of Telangana in Hyderabad today. 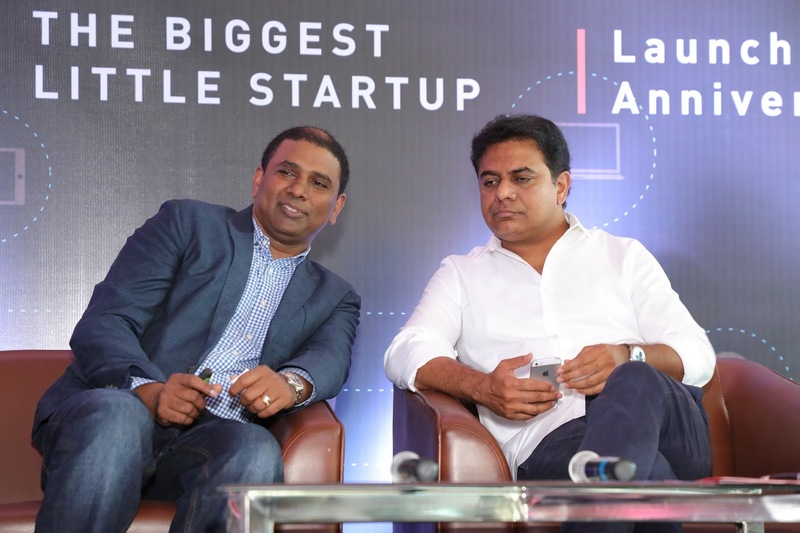 Mahesh Lingareddy, Founder and Chairman, Smartron and K Taraka Rama Rao, Hon’ble Minister of IT, Industries, MA & UD and NRI Affairs, Government of Telangana at the signing of the MOU with Govt. of Telangana in Hyderabad today.